By Melissa Lennig on April 25, 2015 Leave a Comment. This content contains affiliate links. As an Amazon Associate I earn from qualifying purchases. 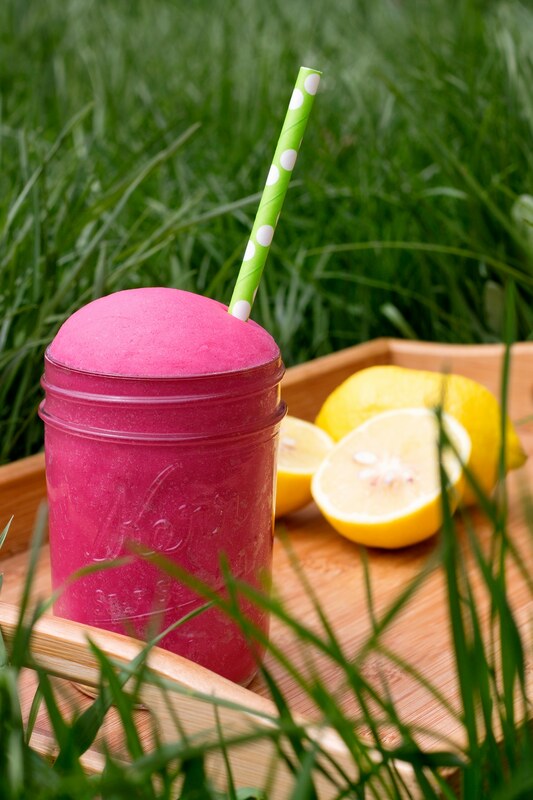 Pink Lemonade Playdough is perfect for welcoming warm breezes, fresh green grass, and bare feet. Keep reading to learn how to make it! I love to make homemade playdough for all seasons and occasions. My boys adore sinking their hands into every fresh batch, and it’s fun to see how they vary their play each time. 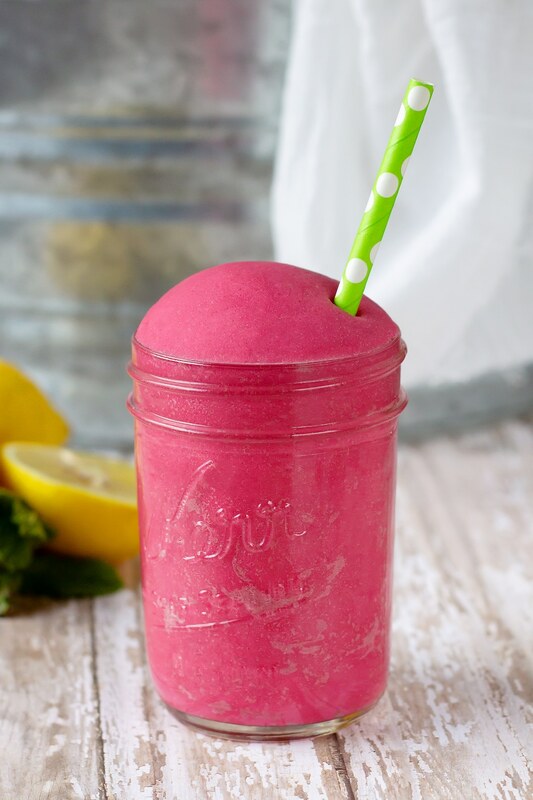 This pink lemonade playdough is soft, vibrant, and smells just like lemonade! 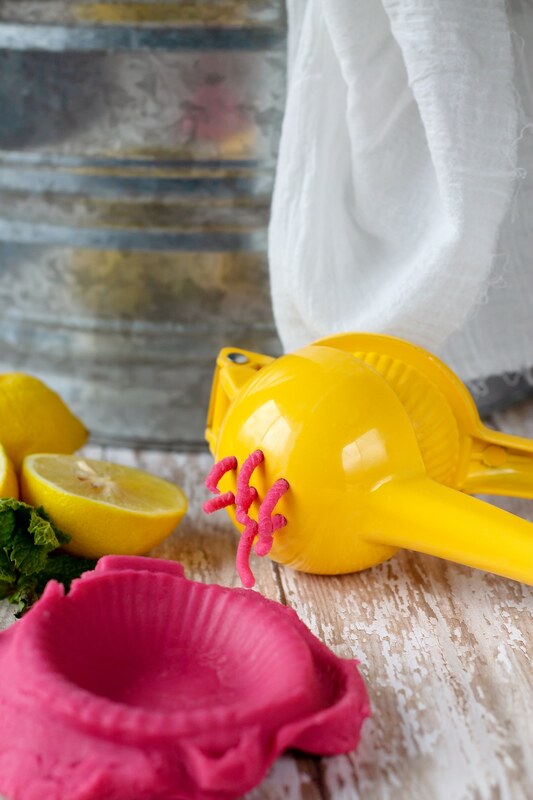 Creative props for play include a lemon juicer, paper straws, and small mason jars. Add pens and paper for kids to make Fresh Lemonade signs! 1. Mix the water, flour, salt, vegetable oil, Cream of Tartar, and food dye together in a small saucepan. 2. Cook the playdough mixture over medium heat, stirring frequently with a spatula, until the playdough clumps together into a ball. 3. Dump the playdough onto the counter and allow it to cool for a moment. 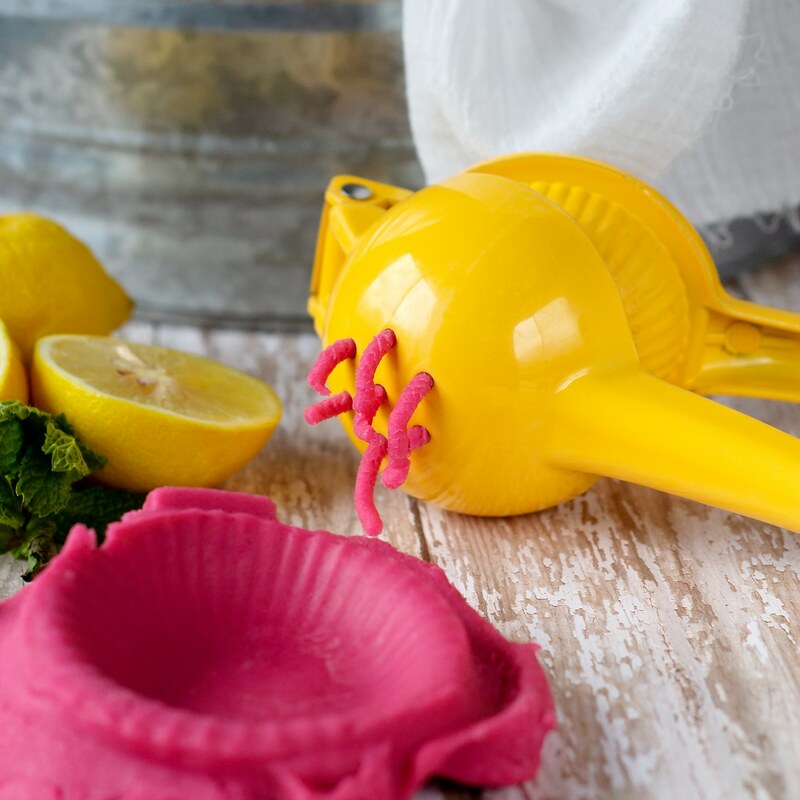 When cool enough to touch, make a small well in the middle of the playdough with your fingertip and drop in the Lemon essential oil. Knead well until the dough is smooth and the essential oil has been distributed. The scent of lemon is so uplifting! I just know your kids will love it as much as mine.